Best Value in San Marcos! It's easy to fall in love with this single-level home. As you walk in, you notice the beautiful tile floor throughout. Energy efficient dual pane windows and glass sliding door. 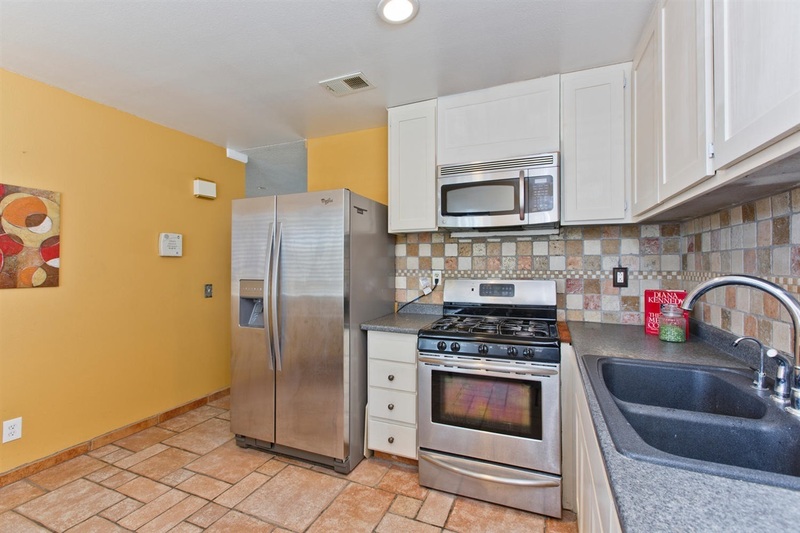 Modern white cabinets in the kitchen, stainless steel appliances and a gorgeous tile backsplash. New interior doors leading to each bedroom. Over-size driveway fits up to 4 additional vehicles plus a covered carport that can be used for boat, motorcycle or RV parking! New roll-up garage door., The exterior boasts a brand new roof and fresh new paint. Backyard is perfect for gatherings around the fire pit and under the covered patio. Close to schools, shopping and highway 78. A short walk to Bradley Park. No HOA, No Mello Roos!